Don’t Know What You’ve Got Degraded Image By: Rebekah Price Degraded Image By: Rebekah Price. 2 Step 1. 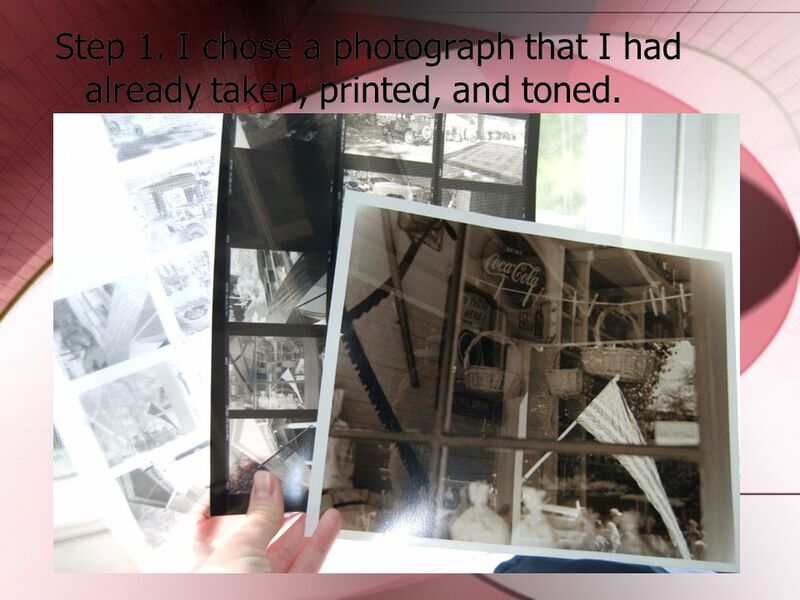 I chose a photograph that I had already taken, printed, and toned. 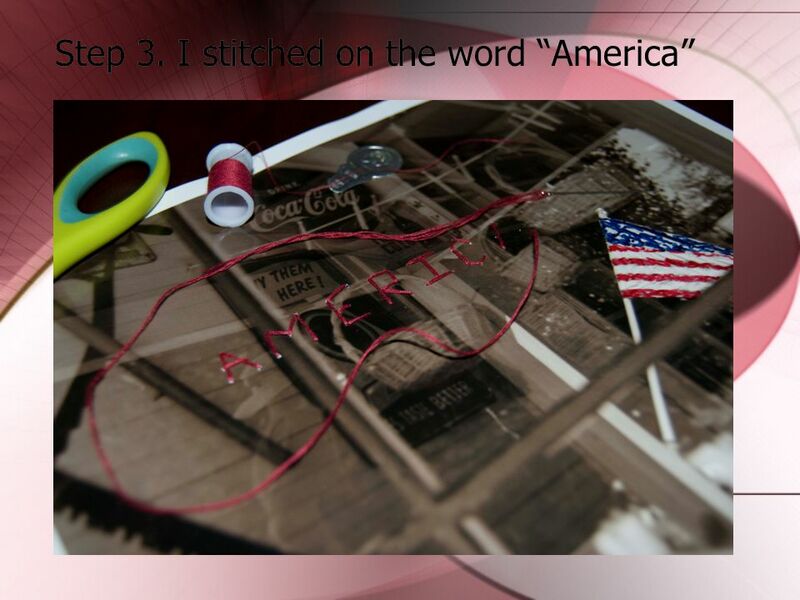 3 Step 2. 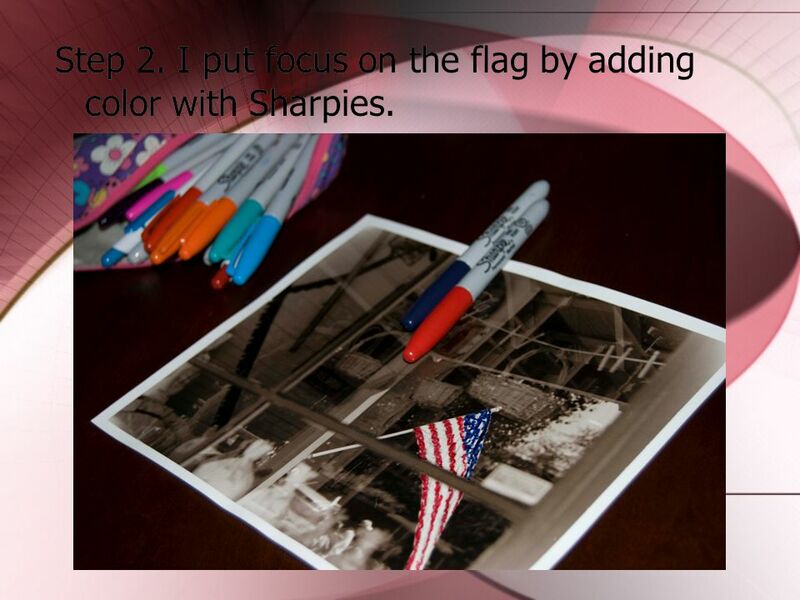 I put focus on the flag by adding color with Sharpies. 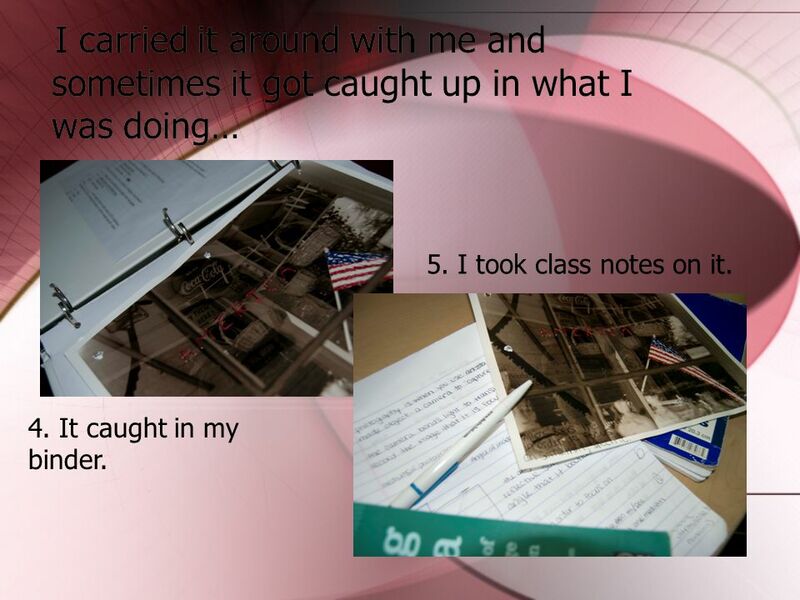 5 I carried it around with me and sometimes it got caught up in what I was doing… 4. It caught in my binder. 5. I took class notes on it. 6 6. Oh no! 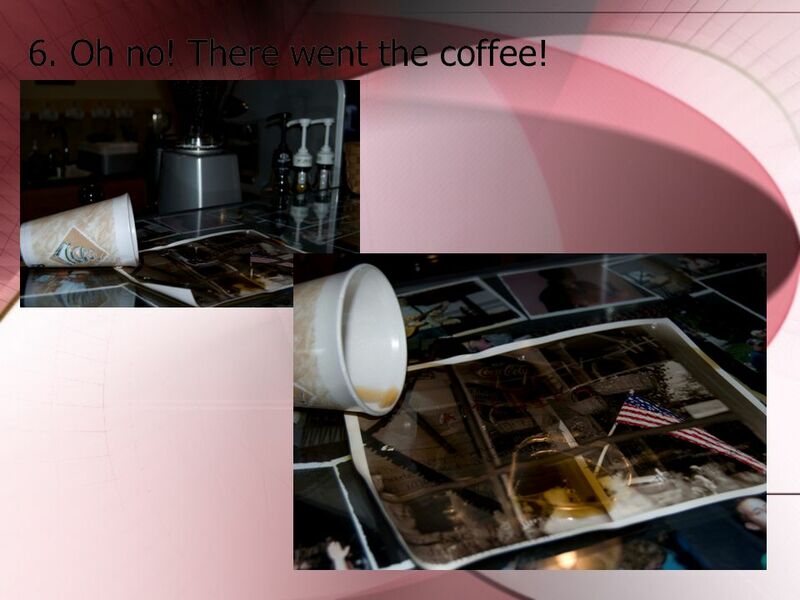 There went the coffee! 7 7. 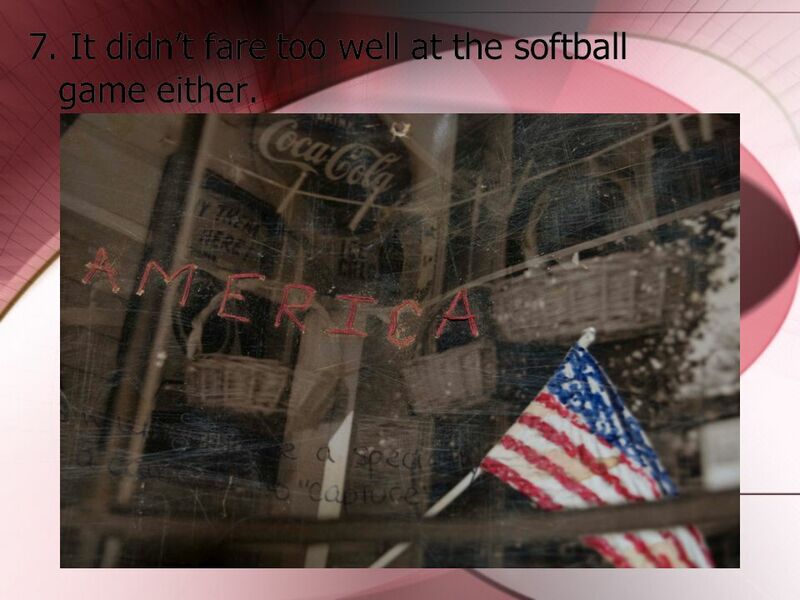 It didn’t fare too well at the softball game either. 8 8. 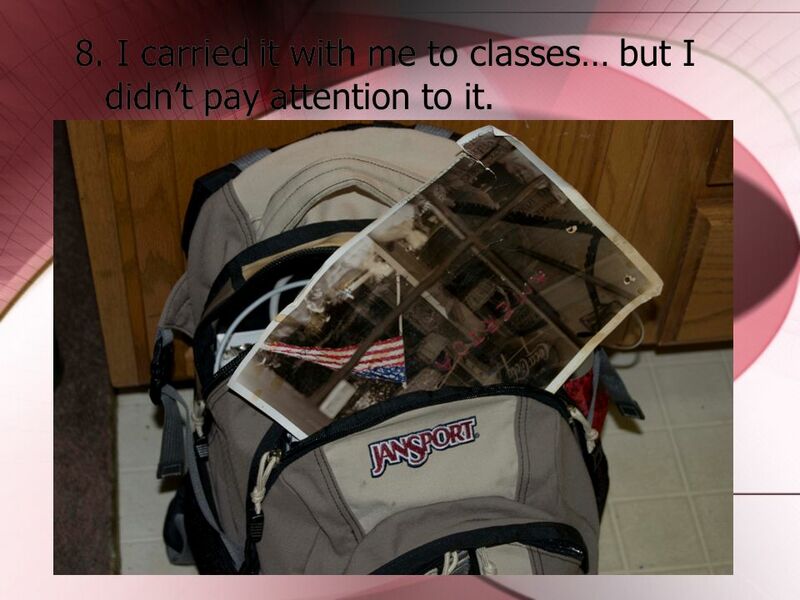 I carried it with me to classes… but I didn’t pay attention to it. 9 9. 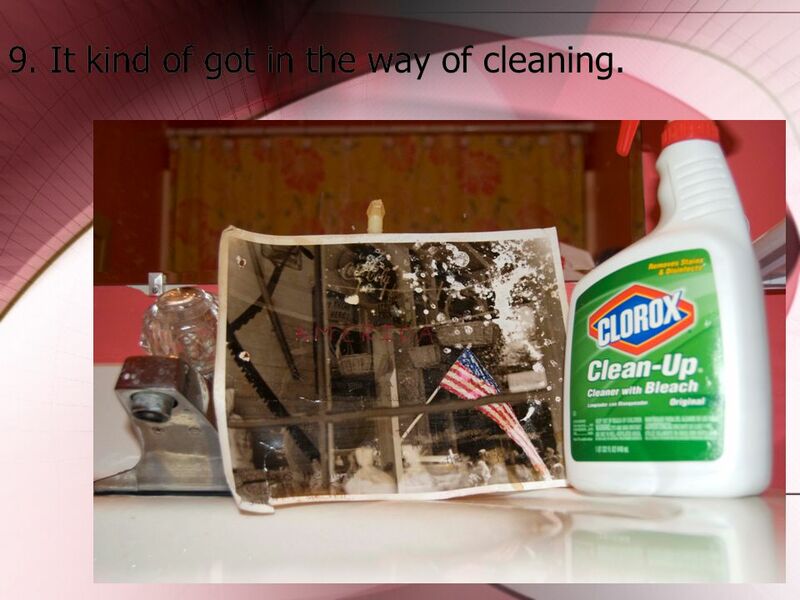 It kind of got in the way of cleaning. 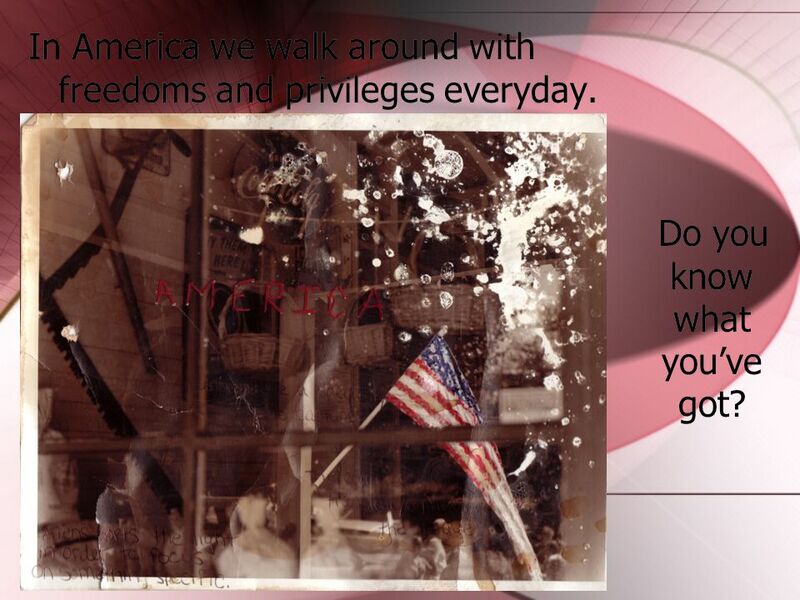 10 In America we walk around with freedoms and privileges everyday. Do you know what you’ve got? Download ppt "Don’t Know What You’ve Got Degraded Image By: Rebekah Price Degraded Image By: Rebekah Price." Our photo shoot Brooke Hill Schools photos. Information The day we had our photo shoot was really cool because we got to do special poses. The photographers. OUR TRIP TO THE POST OFFICE November 3 rd, 2011 Pine Road Life Skills Class. One Christmas Morning By Henry D.. Yay its Christmas morning! One morning I woke up early and opened some of my gifts when I wasn't suppose to. So I opened. Note: We didn't have a picture of a bulletin board inside their rooms, because they did not allow us. On no! I’ve got to submit a report to the Fiscal on this new web thingy? Well don’t worry – this presentation will go through some of the procedure and.